The newest offerings in luxury homesites in Midway, Utah. Get yours while you can - there aren't too many of these left. Ground has been broken on some of the last available lots in Midway. 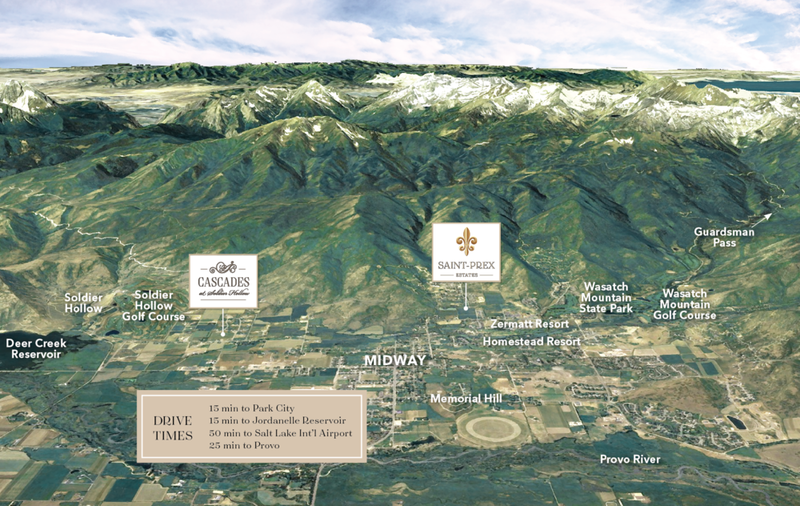 The Cascades at Soldier Hollow, located on the outskirts of town, is now offering 18 homesites, and SAINT-PREX Estates, minutes from the heart of Midway, is offering 16 homesites. These homesites vary in size from 0.40 acres to 0.62 acres and start at $299,900. From either of these locations you'll experience unparalleled views and access to all the wonderful amenities that the Midway has to offer. These impeccably designed, master-planned homesites are already selling quickly, so time is of the essence - it might be quite a while before anything like this becomes available again. Located a few minutes outside of Midway, these homesites offer magnificent views of Mount Timpanogas, Deer Creek Reservoir, Soldier Hollow Golf Course and the surrounding mountain ranges. The Cascades at Soldier Hollow is now offering Phase II parcels for those looking for the ultimate mountain luxury homesite. 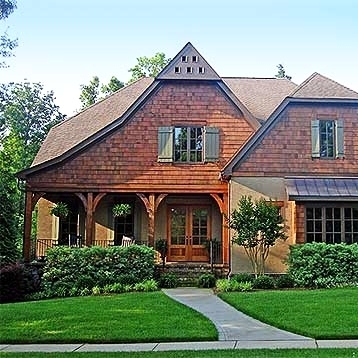 Located in Midway's "resort district", with nearby Zermatt and Homestead Resorts, Saint-Prex Estates is only a few minutes from everything this beautifully quaint town has to offer: small-town restaurants, artisanal goods, four championship golf courses, water sports, and miles of mountain trails and world-class skiing. Midway - see what you've been missing. Midway, Utah is a recreation-lovers dream. This small town of almost 4,000 residents is minutes from world-class skiing, blue-ribbon fly fishing, numerous golf courses, countless miles of hiking trails, and much more. Combine this with a refreshingly quaint small town atmosphere that features many outstanding seasonal events, and it is easy to see why so many people are choosing to call Midway home. Wasatch Mountain State Park is located on the northwest edge of the Heber Valley and consists of 21,592 acres of outdoor recreation opportunities. 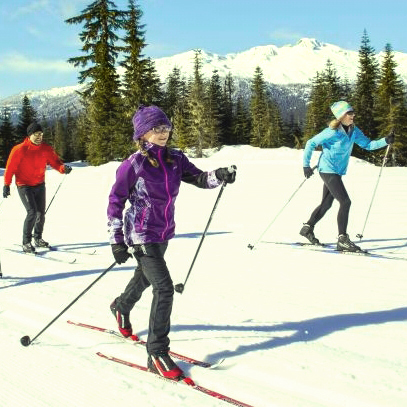 The scenic preserve sits at an elevation of 5,900 feet and features mountain activities such as camping, picnicking, hiking, horseback riding, Nordic skiing, snow tubing, snowmobiling and more. It is also home to Wasatch Mountain and Soldier Hollow golf courses. Swiss Days in Midway is an annual two-day event that brings this tight-knit community together in the name of heritage and shows neighboring cities how to have a good time. It offers a wide variety of handmade items, antiques, fine art, and great Swiss food. Between 80,000 to 100,000 people descend on Midway for the weekend, a tradition here since the 1940s. While Swiss Days is the most popular of Midway's annual events, there are dozens more that offer other unique experiences. You won't want to miss them! Click below for more info. Park City is home to the largest ski resort in the United States, Park City, and one of the best five-star resorts in the country, Deer Valley® Resort. At Park City Mountain Resort, guests will have access to 7,300 acres, 300+ trails, 38 lifts, seven terrain parks, 14 bowls, six natural half pipes, one super pipe and one mini pipe. With a wide variety lodging, an award-winning ski school, and the bounty of 300 annual inches of powder snow, Deer Valley® offers guests a complete vacation experience. Deer Valley Resort is consistently ranked #1 in the categories of lodging, guest service, on-mountain dining and mountain grooming by the readers of SKI Magazine. The Midway golf experience offers cool temperatures and unbelievable scenery across five spectacular courses. Each course is award-winning and situated against breathtaking back-drops rarely matched by courses elsewhere. 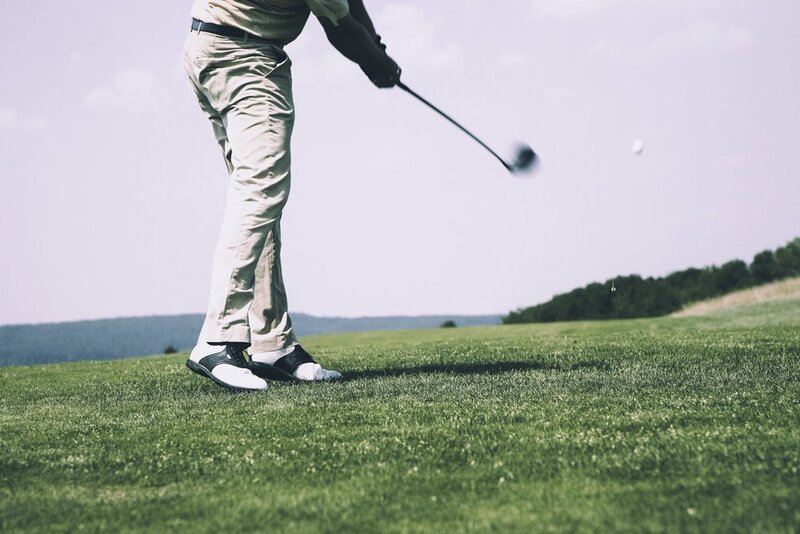 Midway is home to five, 18-hole championship golf courses – including Crater Springs Golf Course at the Homestead Resort, Soldier Hollow’s Gold and Silver Courses, and Wasatch Mountain State Park’s Mountain and Lake Courses. Every course has its own style, its own beauty, but all have beauty and quality in common. Nestled above the picturesque town of Midway and resting in the shadow of the Wasatch Mountains lies Soldier Hollow Nordic Center at Wasatch Mountain State Park. Soldier Hollow hosts a variety of activities throughout the fall, spring and summer. Athletes at world-class levels and weekend enthusiasts can enjoy the facility on a year-round basis. The Competition Center serves as the nerve center for major events, ranging from U.S. Cross Country Skiing Championships to the annual Soldier Hollow Classic Sheepdog Championships. Cascade Springs is a must see for those heading over American Fork canyon on the Alpine Scenic Loop. The springs are fed by precipitation from the mountains above. Seven million gallons of water a day reach the surface of impermeable rock, and flow out to feed the springs. There are two paths that lead from the parking area. One is mildly steep while the other offers a more gentle slope. There is a combination of paved and wood paths that allow visitors to explore beautiful water falls and ponds. The larger ponds are shallow and clear which make it easy to see the native cutthroat trout swimming in the reeds.